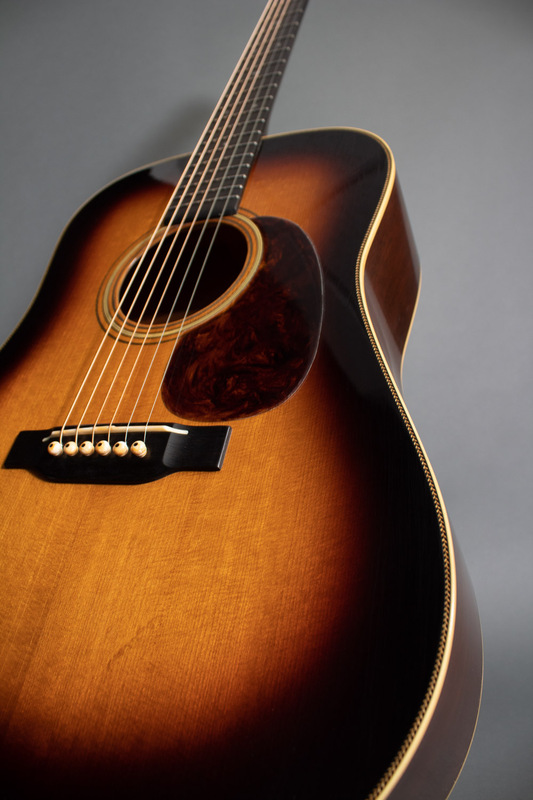 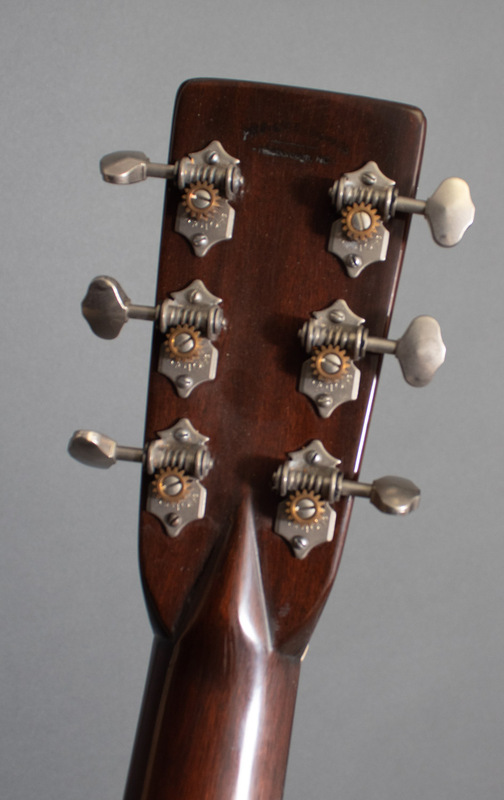 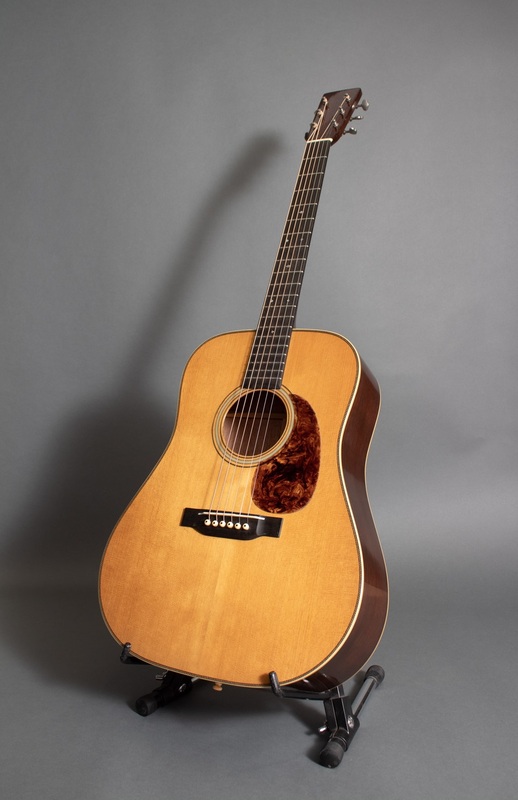 “D Twenty Eight - teen”: a mahogany dreadnought MOnster with herringbone trim and a neck volute. 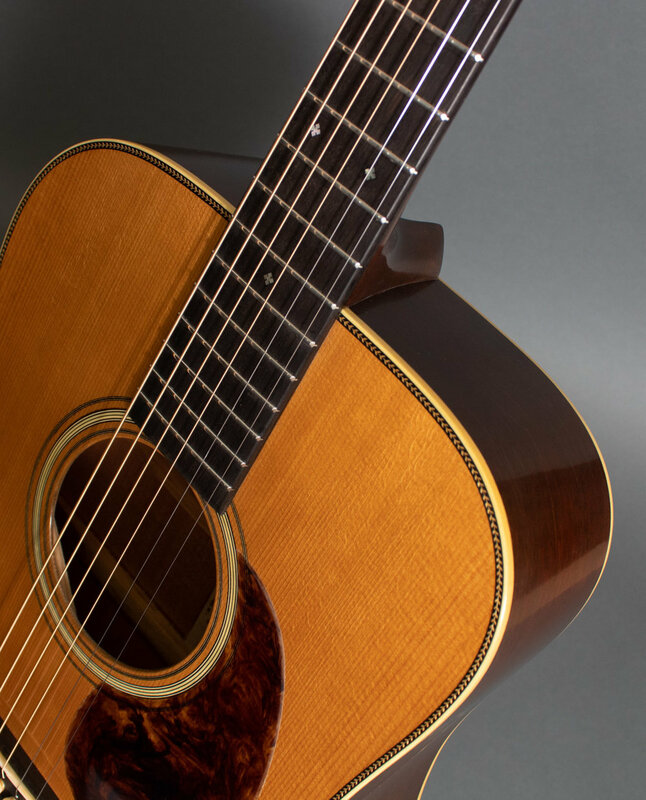 A tribute to two of our favorite all time guitars with a year appropriate name. 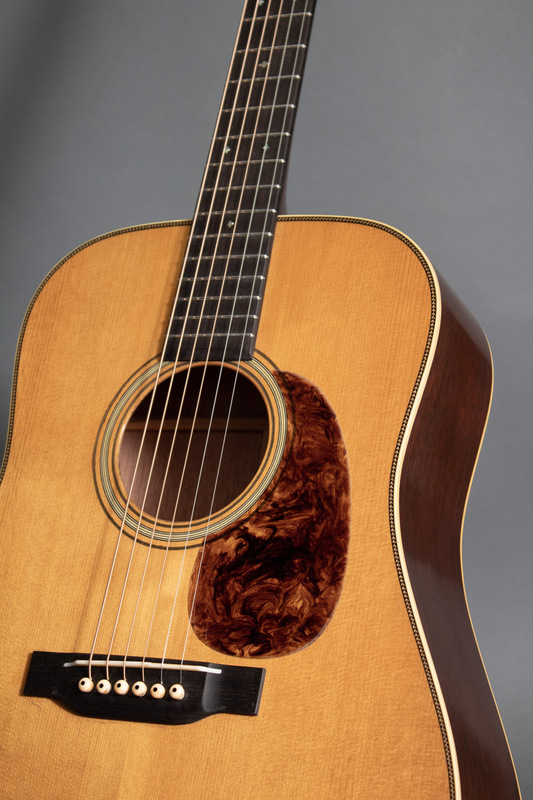 It has a big mahogany bark, with lots of punch, and traditional twenty eight style trim. 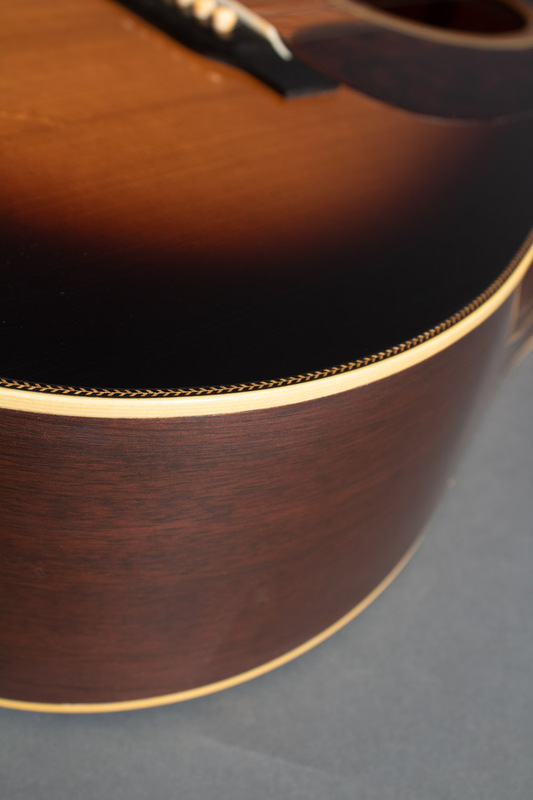 We utilize hot hide glue for all of the bracing as well as in our perfectly fit traditional dovetail neck joints. 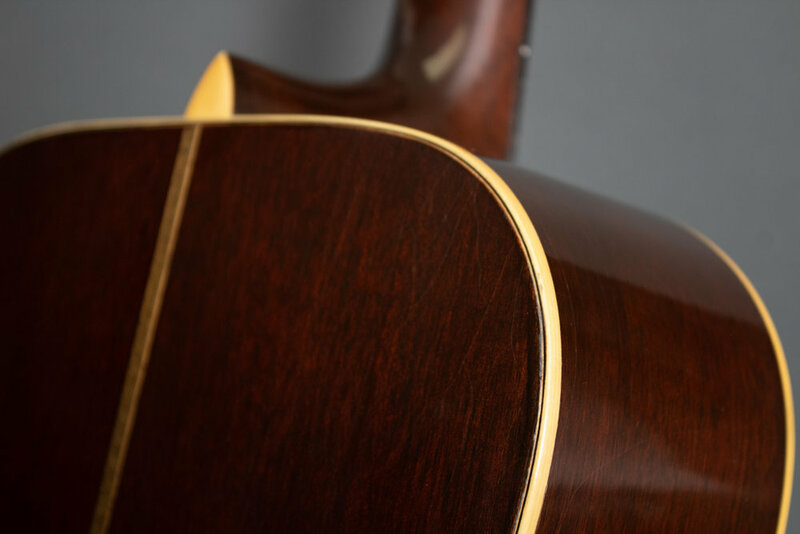 We use Torrefied tops and hand carved Torrefied brace wood for their dry-aged tone. 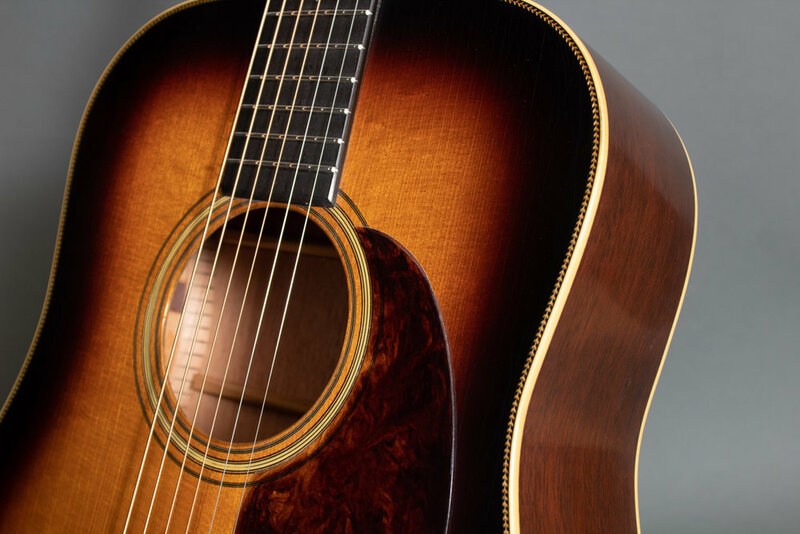 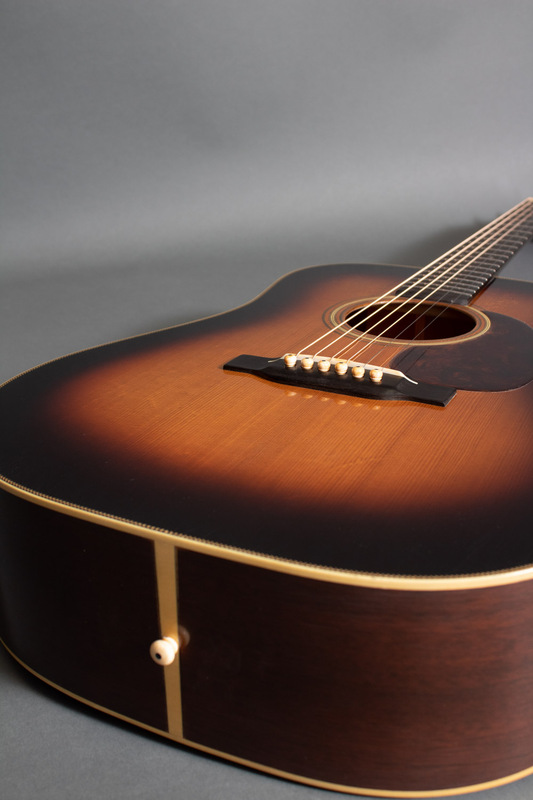 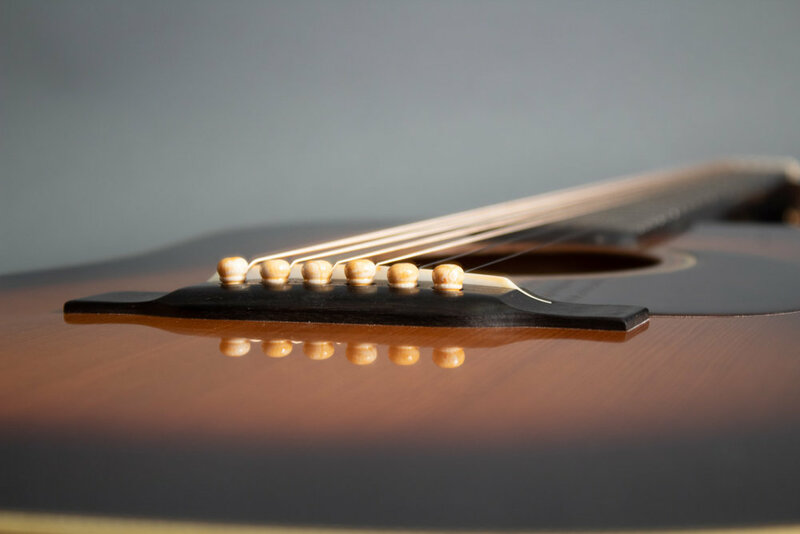 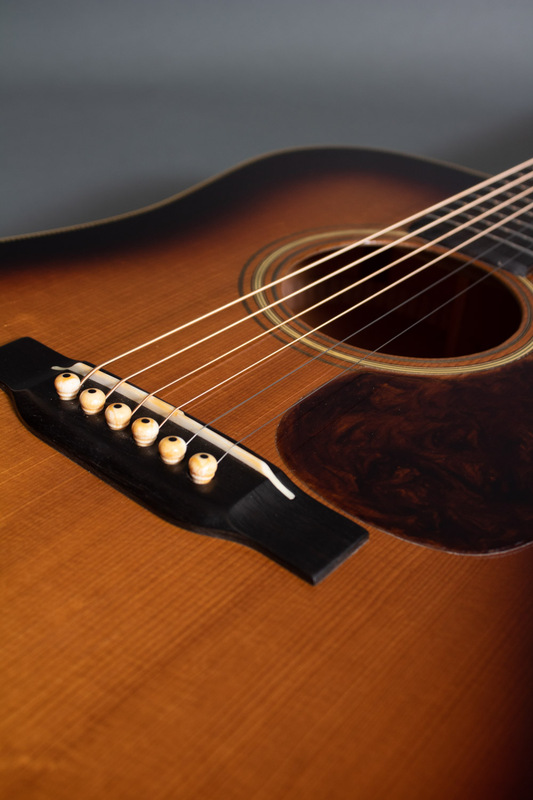 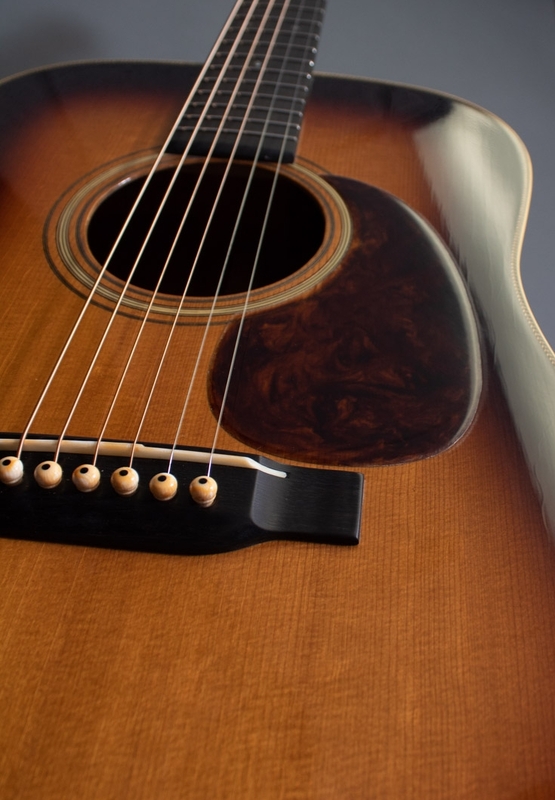 What you get is a guitar with the soul, sound, and look of a well-loved vintage instrument, but with the price, adjust-ability, and reliability of a modern guitar. 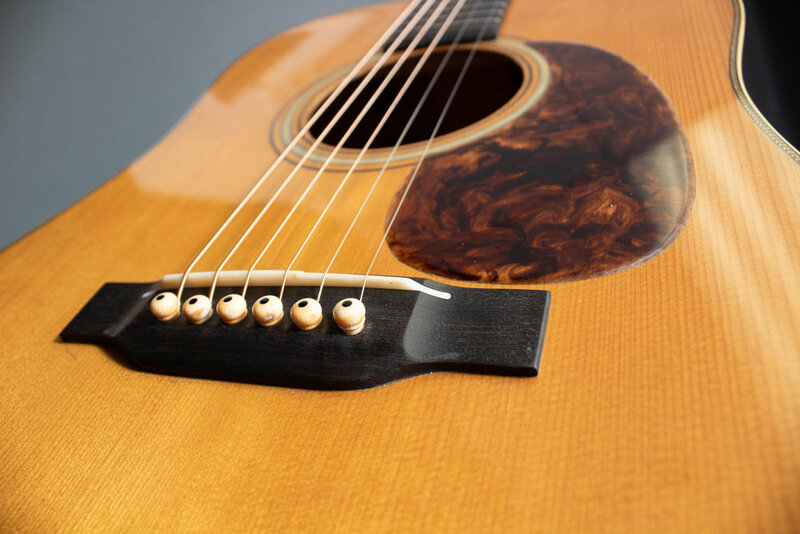 Contact us anytime if you would more information. 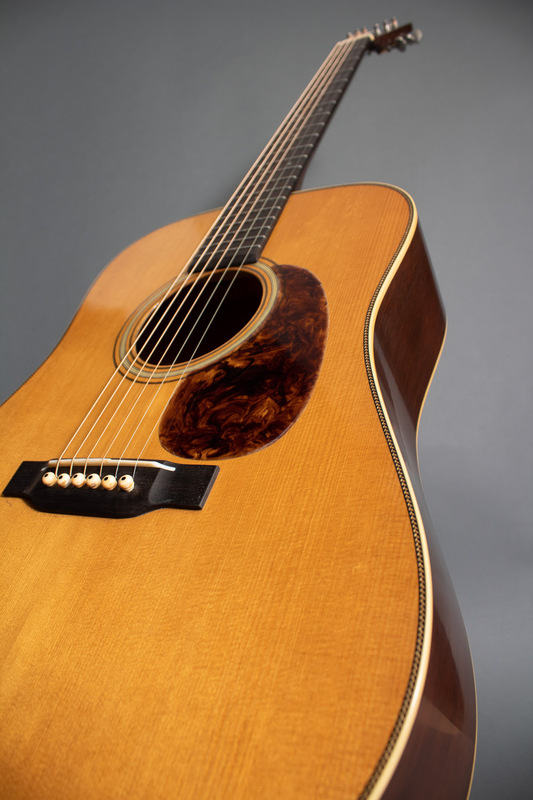 $5295 USD - Honduran Mahogany punch with Traditional Herringbone trim and features. 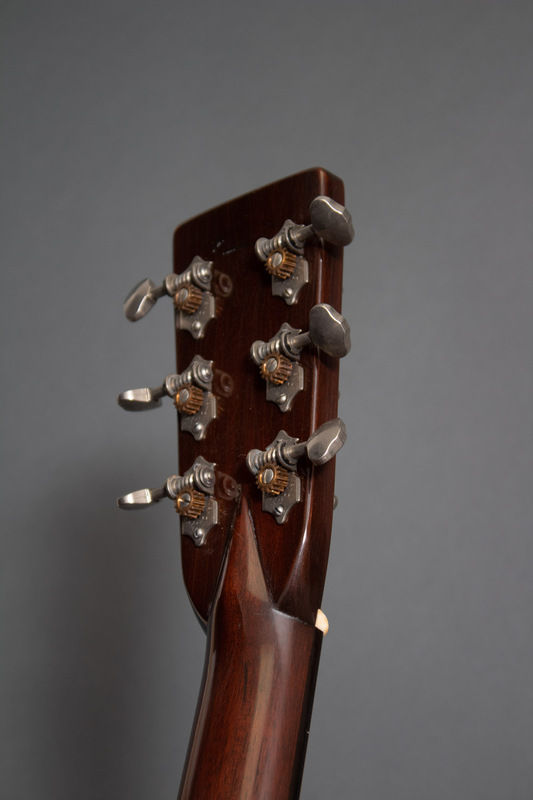 FSC Honduran Mahogany neck w/two way truss rod and headstock volute.